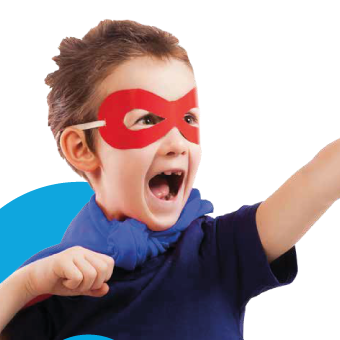 2Simple make creative educational software that’s used in classrooms all over the world. 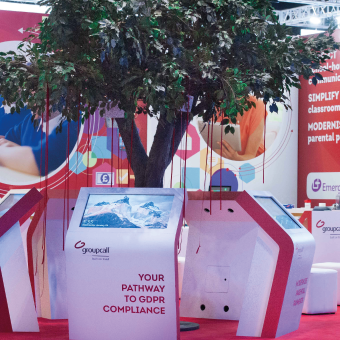 They wanted an exhibition experience that showcased how they use technology to help children learn creatively and that demonstrates that they are a trusted name in the education industry. 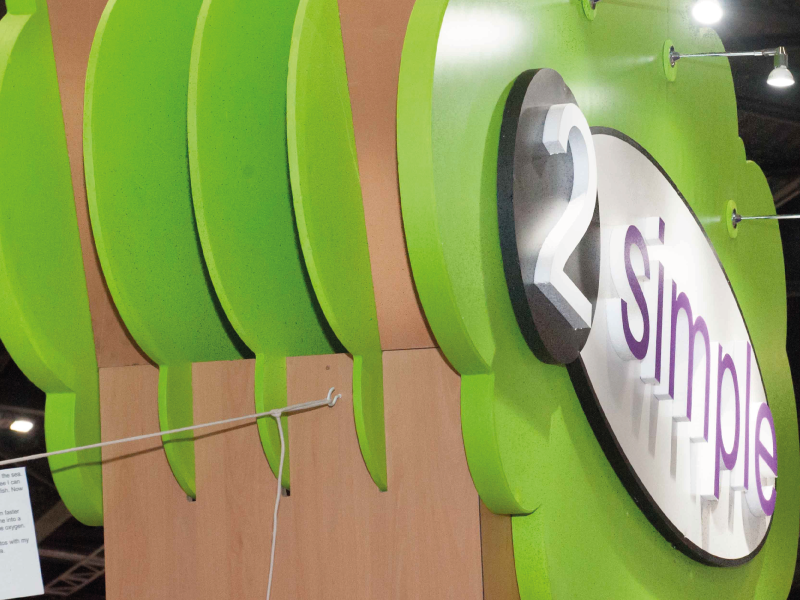 We have been partnering with 2Simple at BETT since 2013. 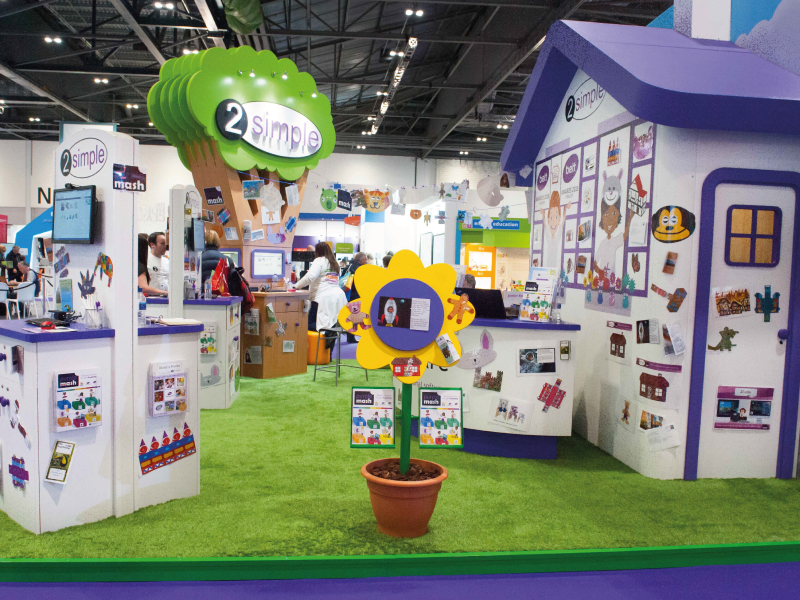 Their educational software for schools is fun and feature rich, which we wanted to replicate in our stand designs. We learn from every event experience and have incorporated quite a few layout changes since the first BETT event. But with careful planning, maintenance and a little refurbishment we are still able to incorporate many of the original stand-out features such as the house and the tree that make this space appealing to visitors. 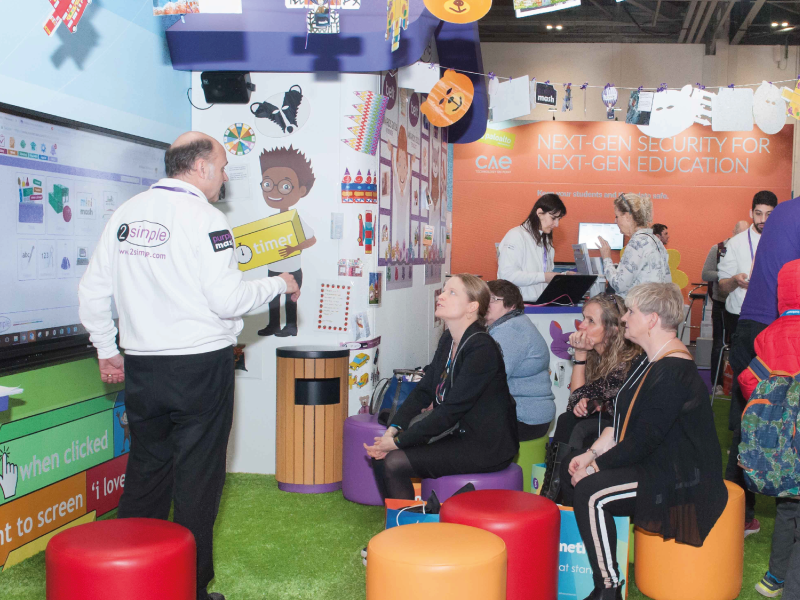 For BETT 2018, we reduced the number of demo points to allow greater access to visitors and encourage a steady flow around the throughout the show. With careful planning and care, we created a space that has proven popular time and time again over many shows for 2Simple. Not only is this economically sound, but it also allows them to focus on making the most of events to engage with and demo their software to. 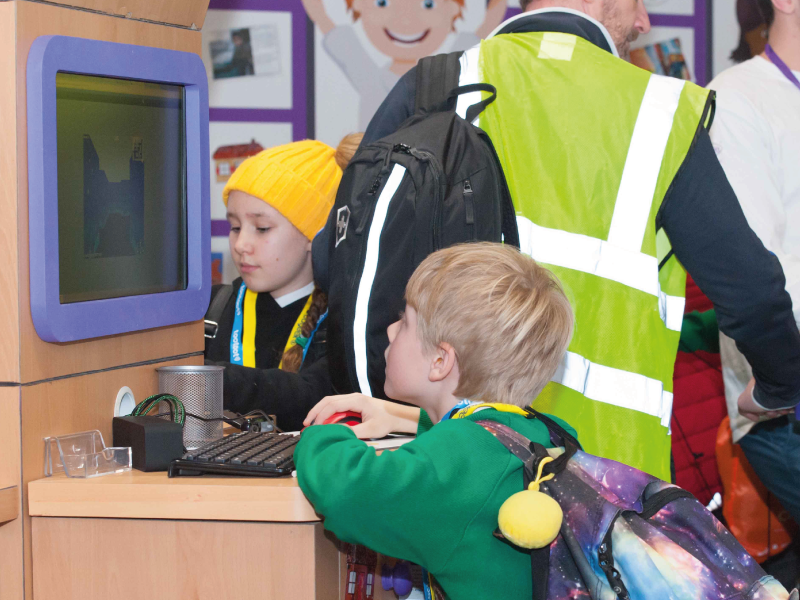 The space continues to be popular, particular with younger visitors who enjoy the bright colours, characters and the chance to get hands on and play with the software.